Leading 3D printer manufacturer 3D Systems has announced the latest additions to its DMP metal 3D printing platform – the DMP Flex 350 and DMP Factory 350 3D printers. A 3D printed bracket produced in 3D Systems LaserForm AlSi7Mg0.6 (A) aluminum alloy for lightweight parts. Photo via 3D Systems. Following the release of the DMP Factory 500, the new DMP Flex 350 and DMP Factory 350 are designed for improved volume production for industrial applications such as aerospace, healthcare, and transportation. 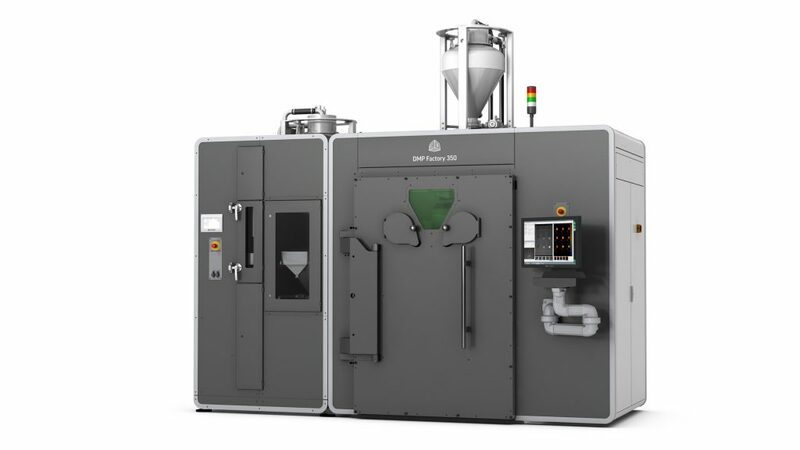 With a build volume of 275 x 275 x 380 mm (10.82 x 10.82 x 14.96 in), the DMP Flex 350, successor to the ProX DMP 320 metal 3D printer, reduces material waste, and set-up times. In comparison to the ProX DMP 320, the DMP Fex 350 offers improved print productivity of 15%. And, most Importantly, the Flex is designed to be easily scaled up in a factory setting as demand increases.